Thank you for looking at my facebook-albums. 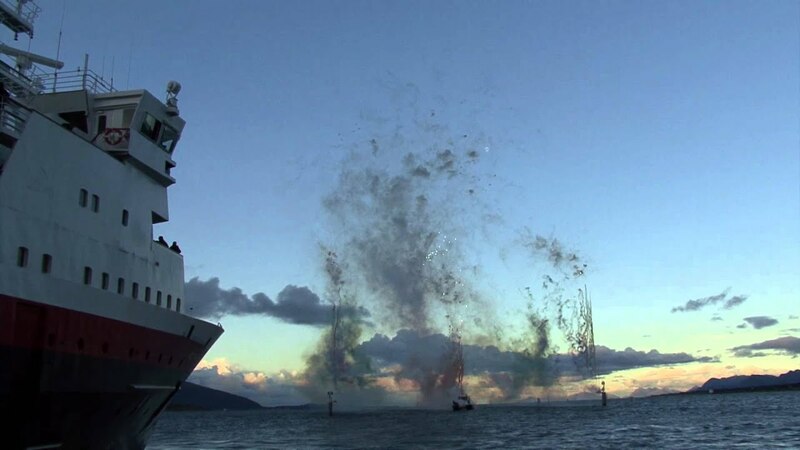 I guess THIS is the Vesterålen-image you mentioned. 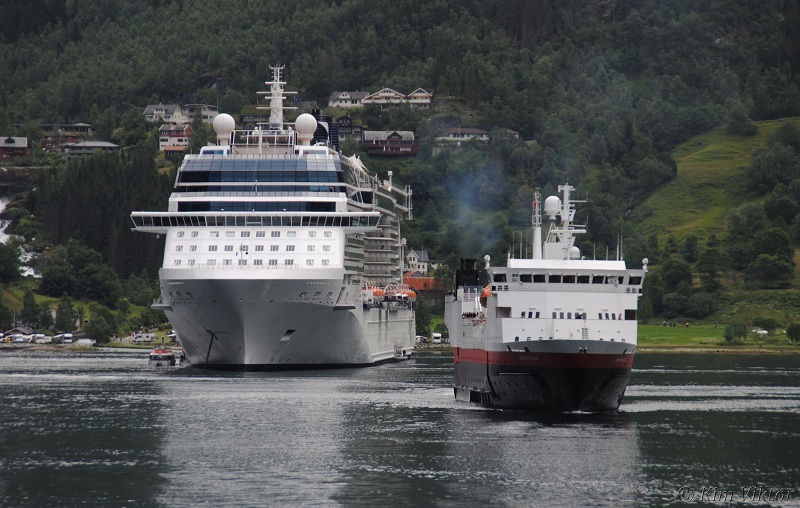 I was lucky and saw Vesterålen passing when I arrived at Brekstad / Fosen. I was in a hurry to find some small roads out to Ørlandet air-force-base. And further out to the coastline. Unfortunately I was a few seconds late to catch Vesterålen BEFORE she passed KJEUNGSKJÆRET lighthouse. But I shot this a few seconds after she passed the lighthouse. And just a few seconds before Vesterålen sailed in to thick FOG. Thank you for sharing Martin, really appreciated! "Vesterålen" southbound in to Tromsø tonight. Last edited by GraemeD; July 28th, 2012, 20:46. I think that you have managed to mark the flickr pictures as private, so we cannot see them. There's no need to upload them again, just change the Owner settings to "Anyone can see this photo". Hi Tommi. Thanks...I've adjusted the settings, but it still looks the same. Hope the link if ok for the moment. Sorry for the off-topic chat. Last edited by GraemeD; July 28th, 2012, 20:43. No problems, this is CVF-manners! While logged in at flickr, click on the "Share"-button above you image. Then copy the entire link text in the "Copy and paste the code below"
Just paste the all in your CVF post and you're done with that picture! This summer I was on a cruise with the classic cruise ship Arion. 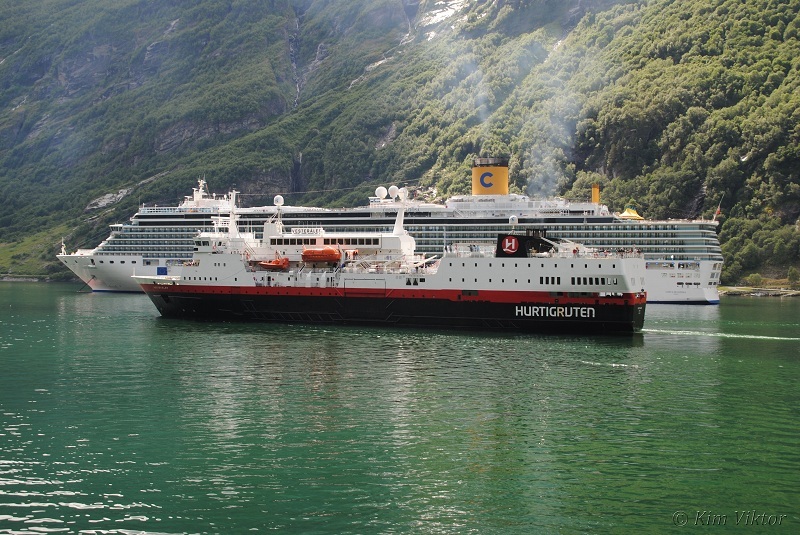 On this cruises we visitied Geiranger at the the same day as Vesterålen was there, July 16. A nice addition to this thread that trends to be bit forgotten in the HRG section. Valerie, i have no own experience, but looking at the deck plan i see that the staircase is directly in contact with these cabins. So i suppose you will hear noise of the slamming doors and, since the stairs are also leading up to the sun deck, also maybe noise of the wind, which can be hefty in a stormy night. The German forums aren't reporting anything special about these cabins, though.. I don’t have experience of these cabins either. 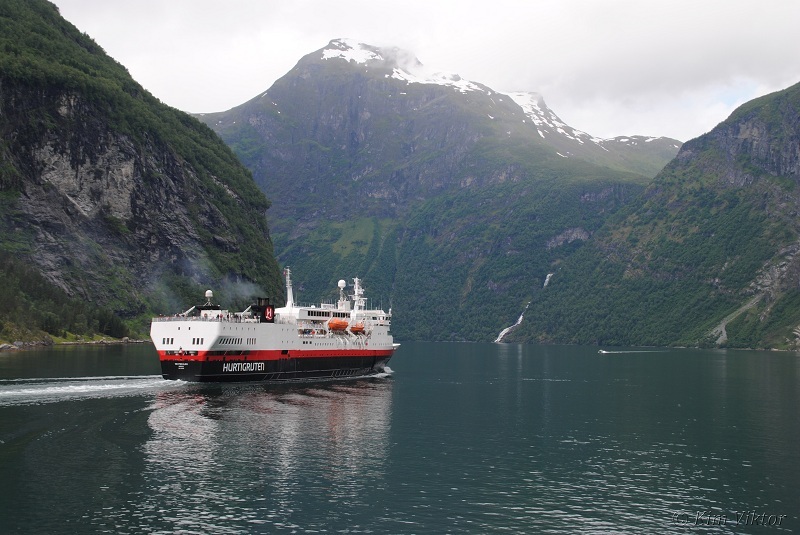 In that part of a min-generation ship I have only experienced the outside cabin 537 (on ex-Lyngen when she was Midnatsol II). Great view aft! 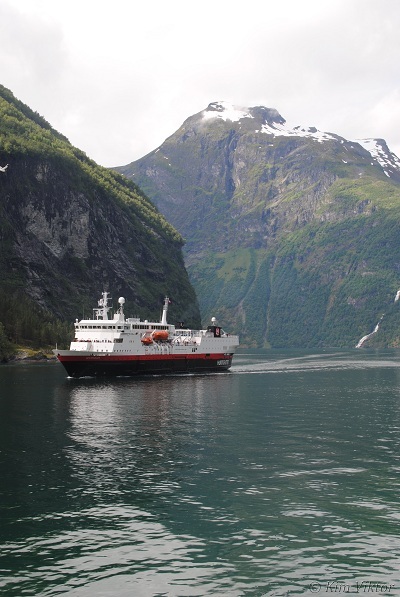 But with the lengthways alignment of cabin and bed, and no stabilisers like Vesterålen has now, and a VERY rough Vestfjord, it was the nearest I have ever been to rolling out of bed! There was also a cabinet with drawers that kept sliding in and out as the ship rolled and which I had to tape shut! I think Ralf’s point about the proximity to staircases is correct, though not necessarily because of actual excessive disturbance. I have noticed that when booking through an agent they tend to place you in what is perceived as the “better quieter” cabins away from stairs and lifts which they feel may be disturbing. Same on an overnight port to port where you are allocated on arrival. As is well known on this forum, I have a reputation for liking cabins that are NEAR stairs, end of corridors, and anywhere with quick access to outside decks! I might see something from my porthole and want to dash out with my camera…and I am often getting up and going outside at ports in the night. I always find I have to specifically ask if such cabins are available!!! On the newer generation of ship I like the promenade deck for the same reason. Now that we only have one traditional ship remaining in the fleet, I think that maybe Vesterålen may increase in popularity with those who prefer an older smaller ship.